From WebmasterWorld, we have stories about vanishing image search traffic and the difficulties involved with switching from HTTP to HTTPS. 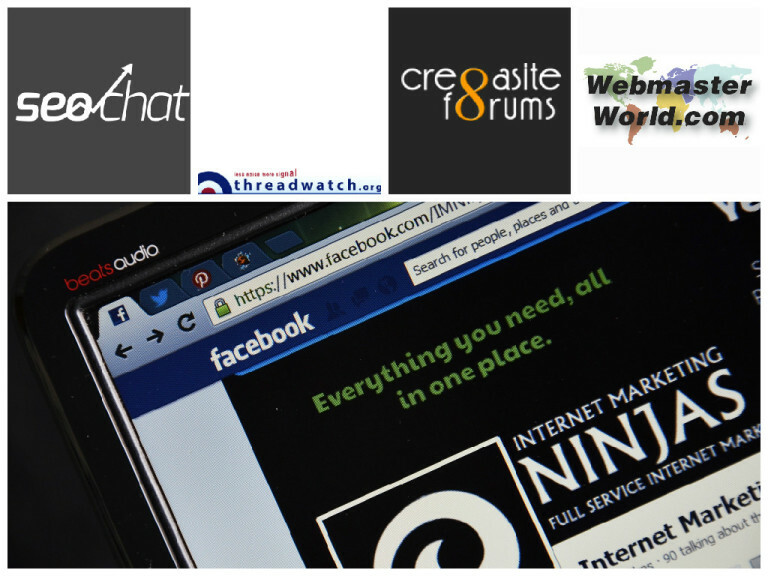 Then there are three fascinating discussions from SEO Chat – one of them about PBNs! They even created a new website just for the announcement, nic.bot. Believe it or not, Amazon says that they’re “excited” about this launch. Personally, I can’t quite see why. But some Cre8asiteforums members like iamlost seem to be implying that it could be a honeypot. Perhaps spammers will seek out .bot domains as cheap ways to spam…and then we can ban them en masse! Of course, it’s also important to make sure that anyone you build a PBN for understands these risks. The worst part about this technique is that a lot of newbie freelancers seem to think that it’s flawless – they build PBNs and use them for their clients…and the clients are the ones who are devastated and destroyed in the end. At any rate, there are lots of great posts in this thread – and some great old links to posts from Fathom, who had a great deal of personal experience with PBNs crashing and burning. Besides fake news, which is the news du jour, there are a lot of infamous defamation and scam websites out there. You probably know the kind – they rank for someone’s name and picture, and call them something unsavory. Some of the biggest names in SEO today owe their success to those first steps that Johns helped them take! He’s in a tough situation these days – friends of his and our communities are working on a GoFundMe, which I encourage you to donate to! From the Threadwatch rumor mill, we have news of a potential algorithm update on February 7. Google’s only comment so far has been “No comment,” so we don’t know for sure. We probably also have lost sight of social media’s capability for compassion. Iamlost found a great example of an important Tweet – one that represents history and calls for it to be remembered. Check it out in this thread. Every time you read a thread about an HTTPS migration, you think you’ve seen it all. But there must be billions of different website configurations out there – a holdover from the “Wild West” days perhaps. Sometimes these configurations represent very sticky problems for anyone who wants to take the site to HTTPS.